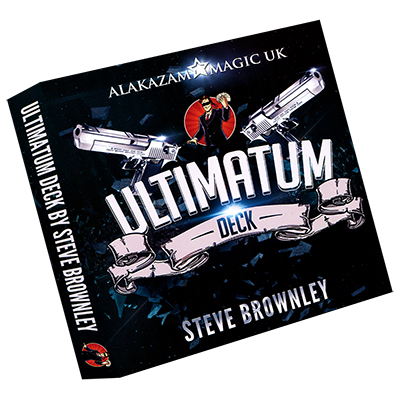 A hit trick at Blackpool Convention, both in terms of the late-night sessions and sales from our stand, Steve Brownley’s Ultimatum is now available complete with a DVD containing around a dozen routines, plus loads of tips and variations. 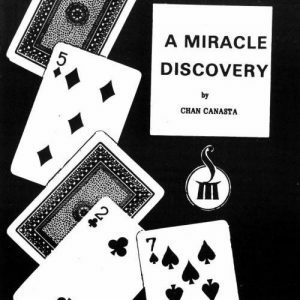 The Repeat Card At Any Number alone is worth the price of the set, as is Three Choice Cuts, where a spectator finds three freely chosen cards simply by cutting the deck. 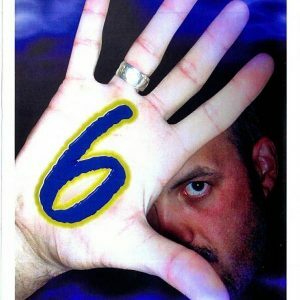 There are just a few ‘underground’ guys in magic who those in the know try to catch at convention sessions. The public have never heard of them, but if you go into the bar at the convention hotel at Blackpool, for example, they’re the ones in the centre of an attentive — and usually baffled — crowd. One such guy is Steve Brownley, an unassuming guy from Sheffield (and a regular ‘Lounger’, incidentally) who can always be relied upon to have something new and exciting to show you, from a cunning twist on an existing move or principle to a baffling new routine. I knew he’d been playing around with ACAAN variations, and then he came into the Magick Lounge with a stunning discovery of two chosen cards at chosen numbers. It was clean as a pressure-hosed whistle, inexplicable, and apparently free from sleights or dodgy moves. I took him aside later and offered him an extra cup of tea if he’d reveal the secret. It wasn’t easy to persuade him, but a chocolate biscuit clinched the deal. There are indeed no sleights or dodgy moves; the whole thing is based on a subtle principle coupled with some of Steve’s clever thinking. – Repeat Card At Any Number: The holy grail to many and now you can perform it with two spectators. 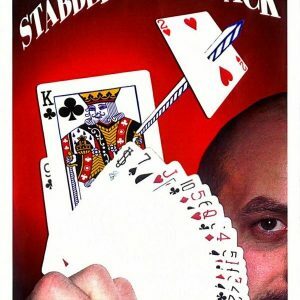 – Luck And Intuition: This one is a mind blower, two spectator’s cards are found. 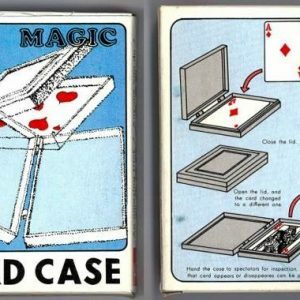 The first is at a freely chosen number and the second is found by a spectator tossing a card in to the deck as you dribble them on to the table.